If you're looking for budget-conscious, efficient basic transportation you'll like the 2011 Chevrolet Aveo. Practical, utilitarian and with no complicated high-tech systems to learn, the little sedan is also a good choice for RVers looking for a haul-behind car. Another plus: The high seating position for driver and passenger. The 2011 Chevy Aveo is a sporty, small family, or starter car. 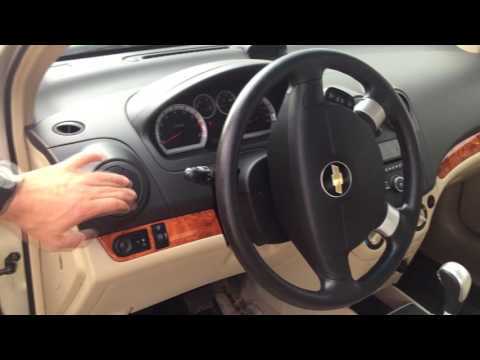 The 2011 Chevy Aveo is a nice everyday driver. I do not like the fact that since it is a newer car, than my second one, that it does not have automatic windows or locks. This seems hazardous if I am driving by myself trying to lean over to put the passenger window up or down. Especially considering my 1997 vehicle has automatic windows and locks. It is a nice car for a small family or starter car, but as my two boys are getting bigger the car is feeling to cramped. We also cannot fit a third person in between their booster seats unless they are a small person. With my car being a manual it makes it feel sporty and will get up and go, maybe to a speeding ticket. 2011 Chevrolet Aveo, 3. 5/5. The vehicle is very small as a sub-compact, so there is hardly any backseat space but the trunk is fairly sizable and the front and passenger seat have comfortable space if there are no other passengers. The car handles very well for regular city driving, but the engine does not have much power and struggles a bit up inclines and longer trips. During hot weather the car also seems to struggle more to accelerate. Otherwise, the seats are fairly comfortable and the car has nice wood detailing. Small maintenance issues are easy to do yourself, such as replacing headlights or checking oil. Overall I have enjoyed having the car for the past five years.